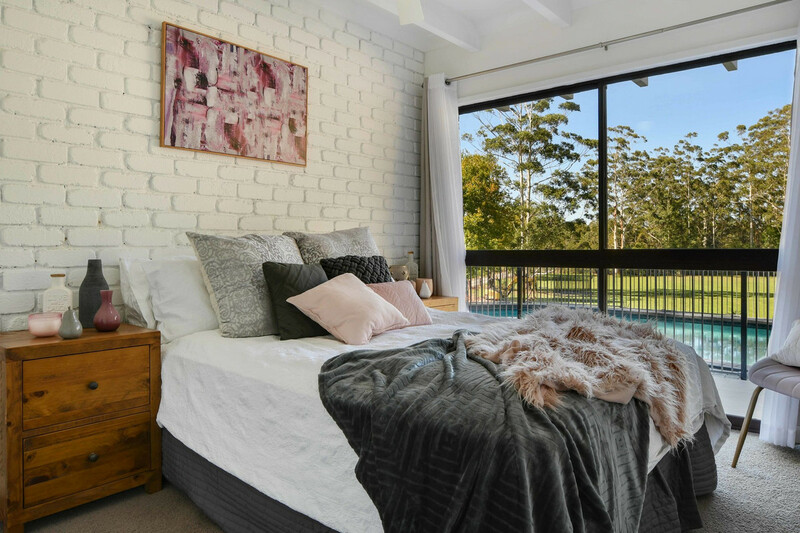 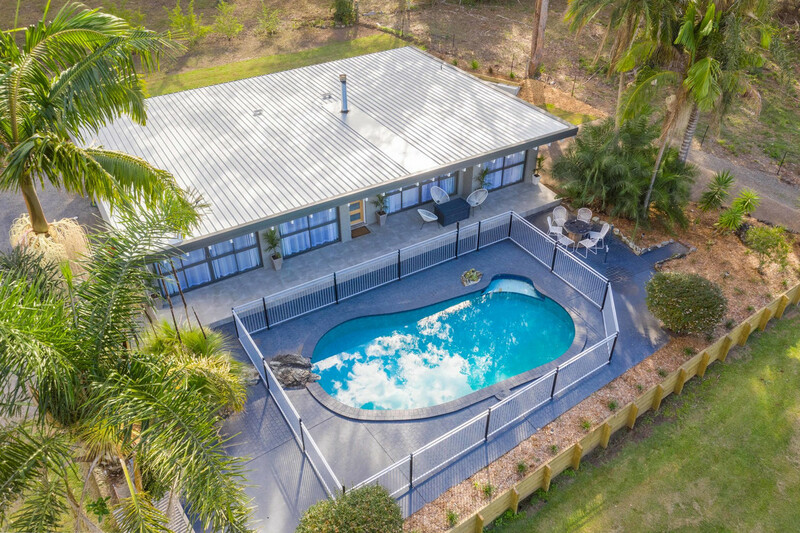 This 4-bedroom homestead is situated 10 minutes from bustling Port Macquarie and a thousand miles from the bustle of life. 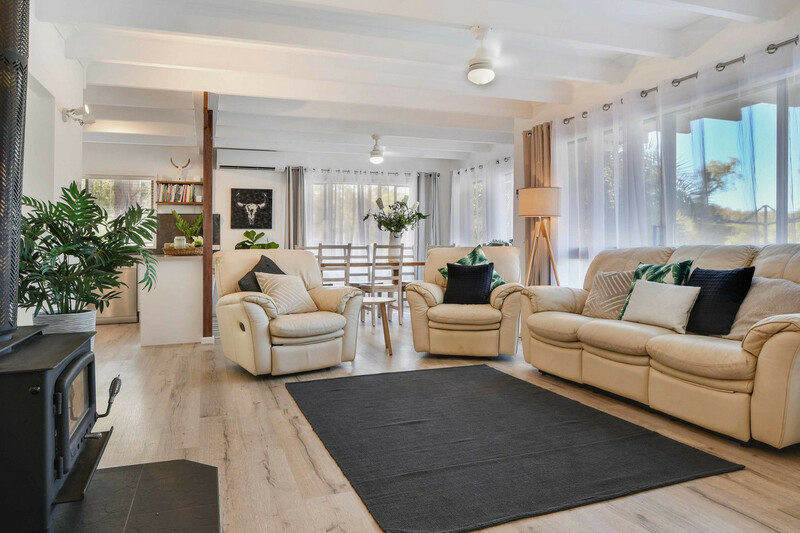 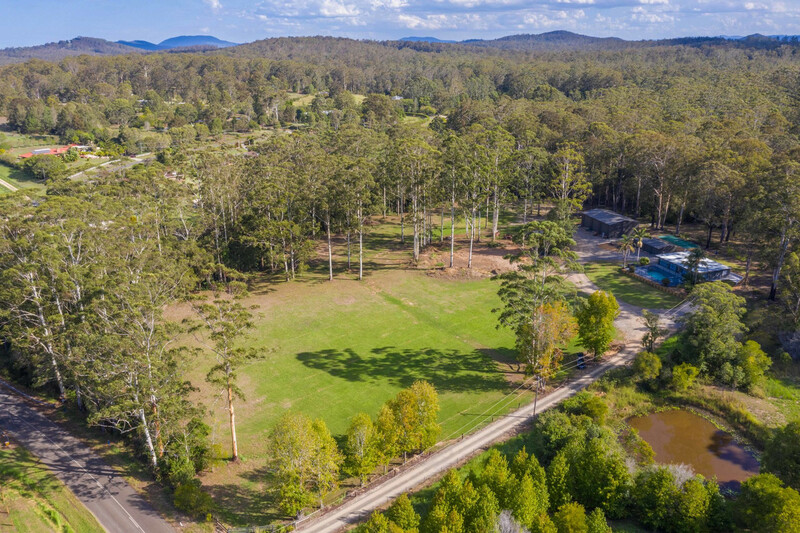 The 6.5 acre property comprising of four separate titles, is ideal for a hobby farm, horses, motorbikes or – with its massive sheds/workshops/studio space – a haven for having it all in one space, including a home business. 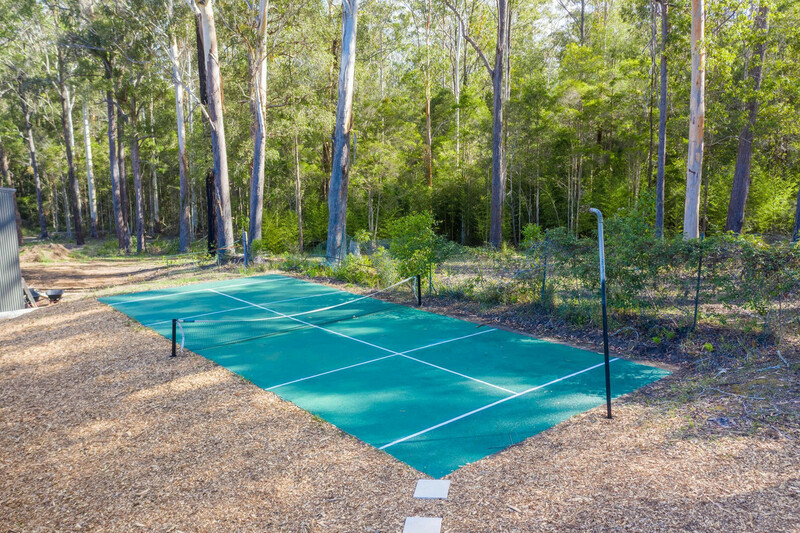 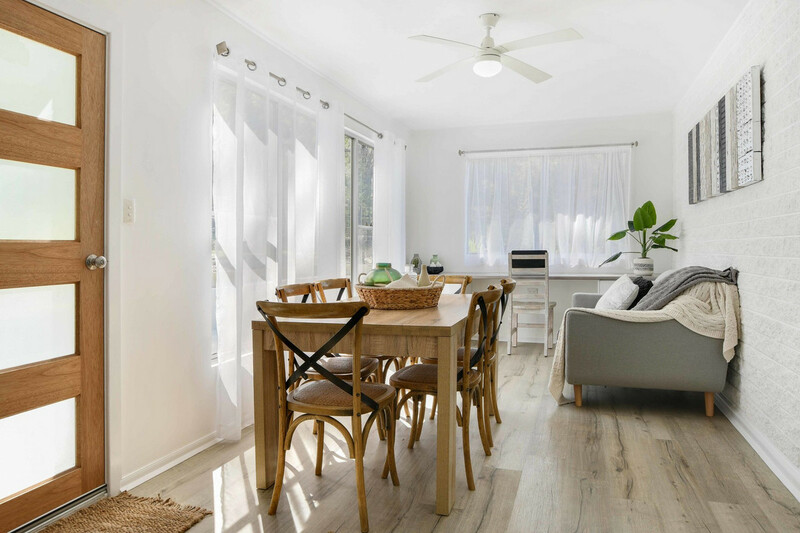 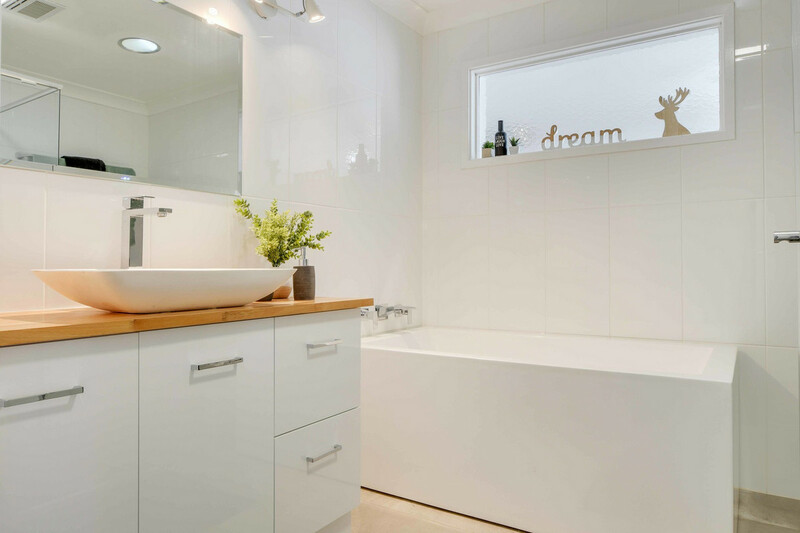 It The property backs onto the beautiful Burrawan State Forest which boasts a huge network of riding or walking trails. 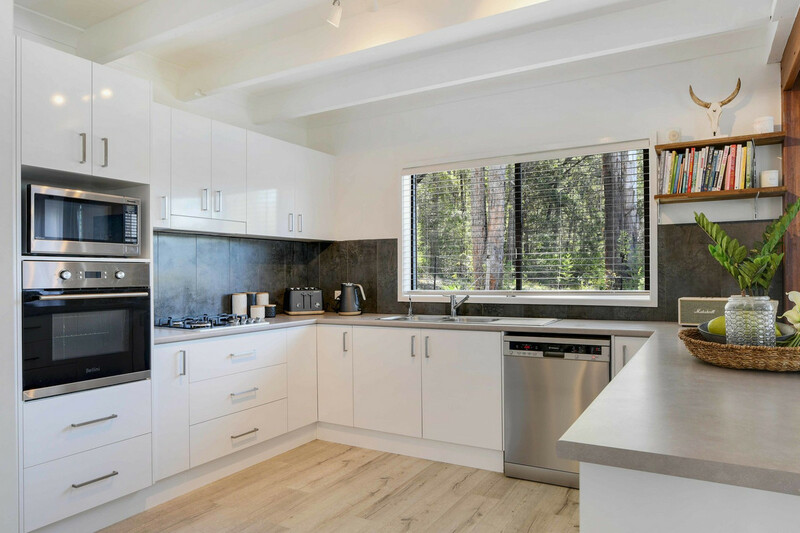 The light and airy house is fully renovated, with a massive open-plan kitchen/dining living room, and a further family retreat and a study. 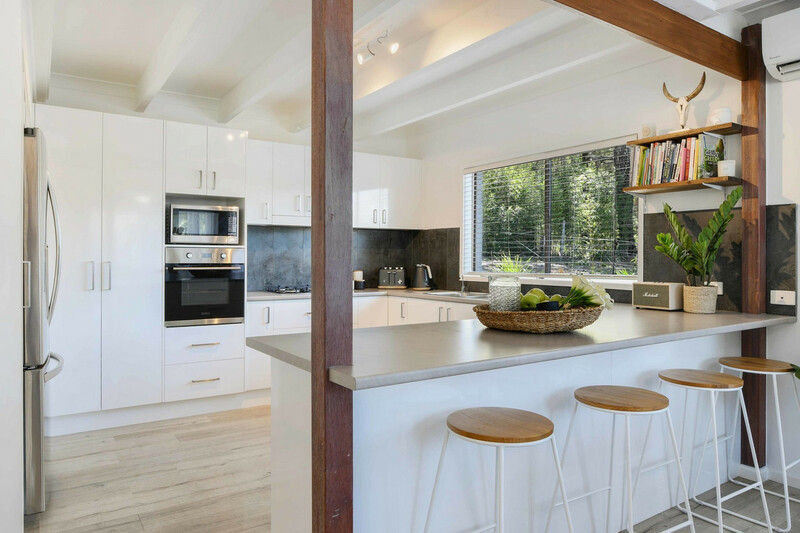 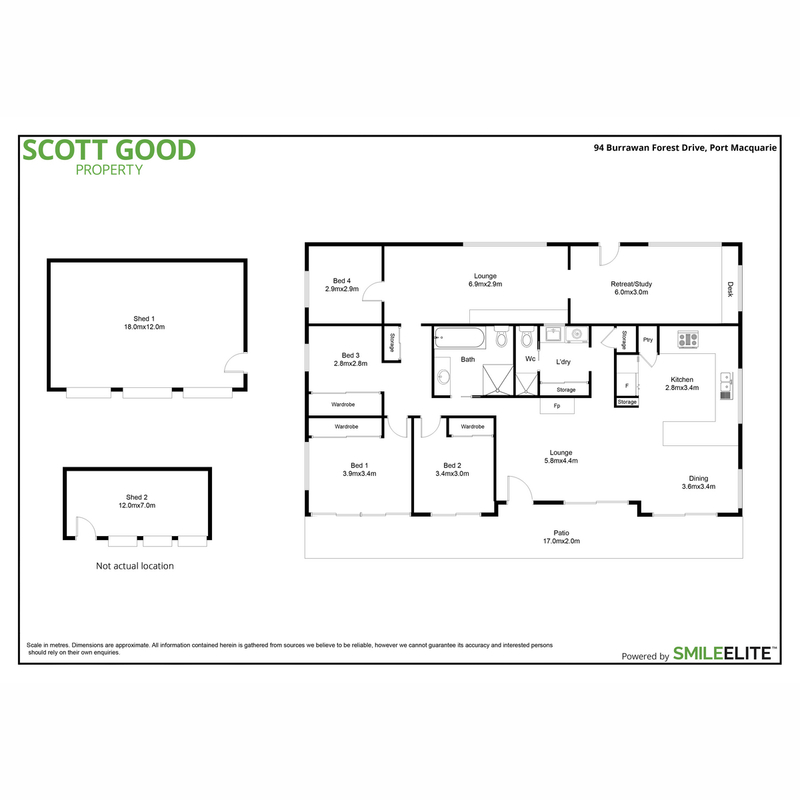 The kitchen has plenty of storage space, and a stylish wrap-around breakfast bar. 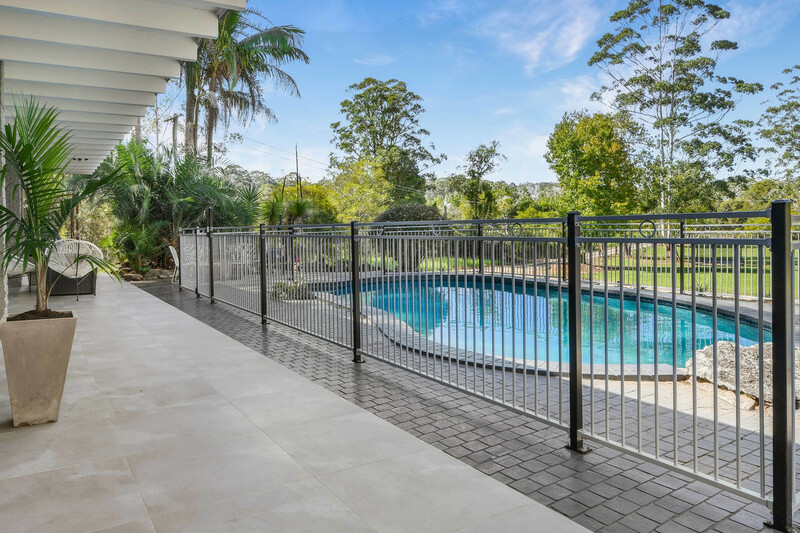 The beautifully appointed lounge area overlooks the covered patio, plein air outdoor entertaining area and the pristine, fully fenced, inground pool. 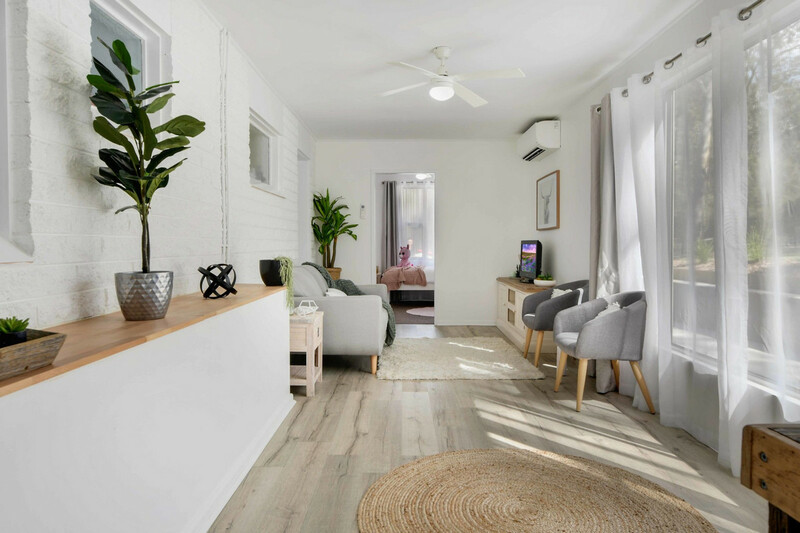 The split-system air conditioning maintains the cool ambiance in summer, while the fireplace allows for cosy family gatherings in the winter. 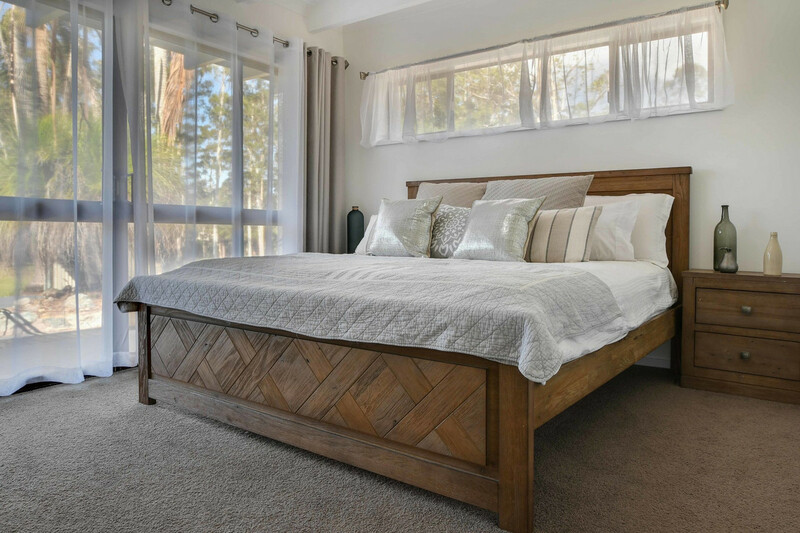 Three of the four spacious bedrooms have built-in wardrobes, and they are served by a well-appointed family bathroom-and a second w/c and shower room off the laundry. 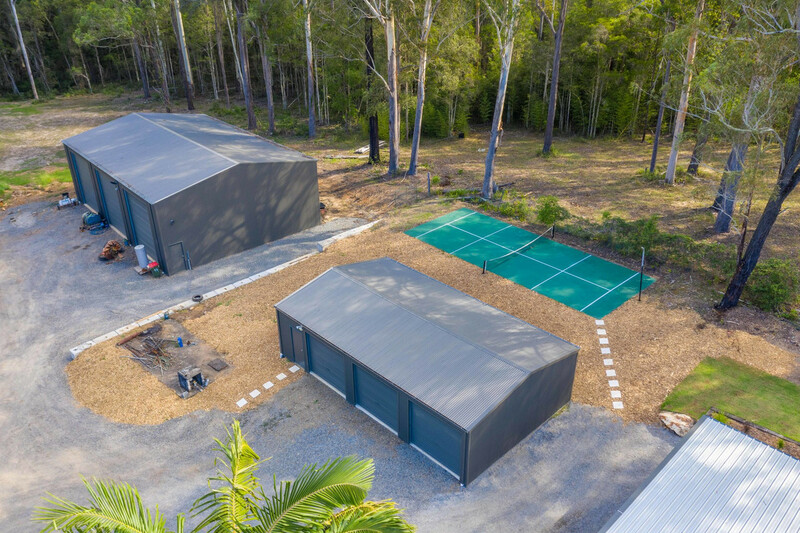 Beside the house is a tennis court and two massive brand new sheds. 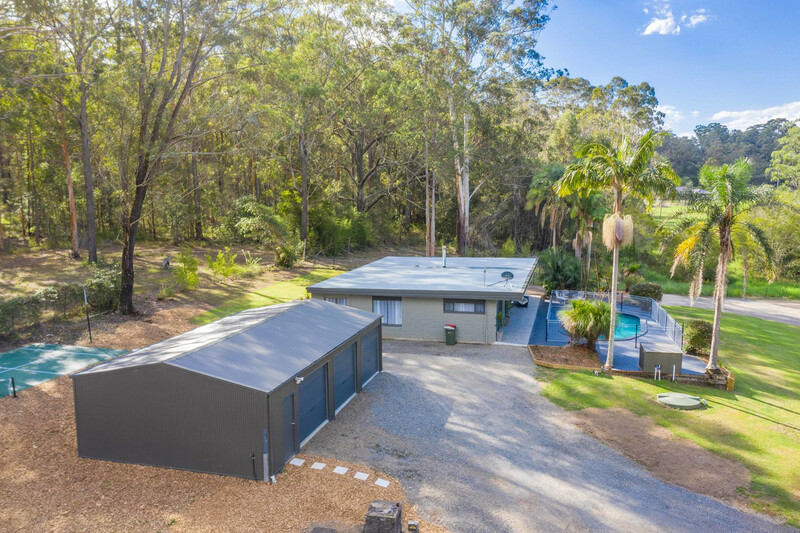 Each can be used as a three-car garage or truck bay, but would also make the perfect workshop/mancave/studio – whatever your heart desires! 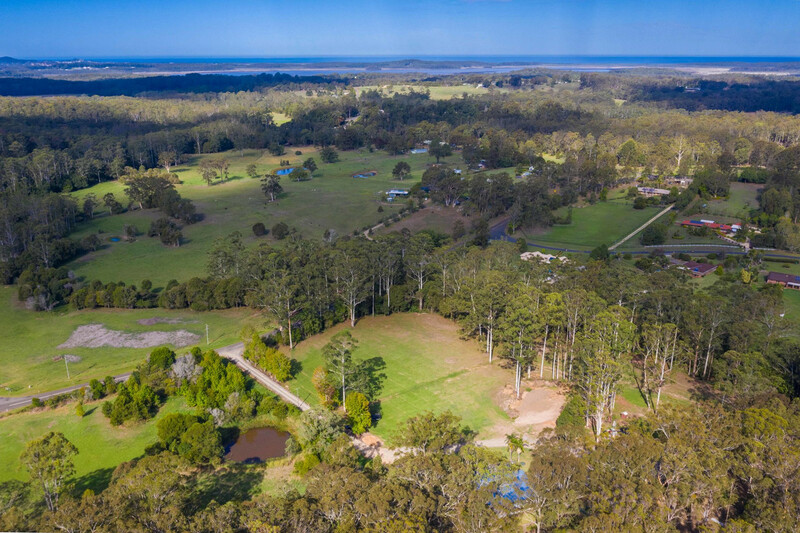 The extensive property is fringed on two sides by established trees which are home to an impressive array of birdlife and other native fauna. 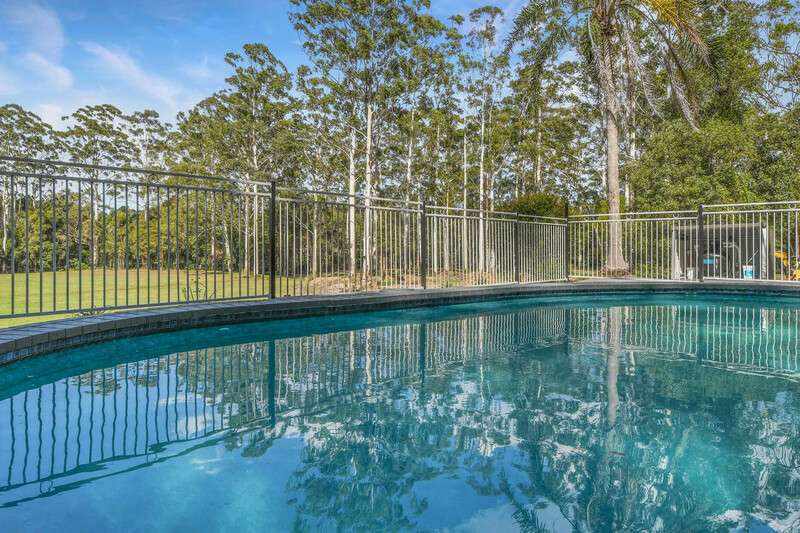 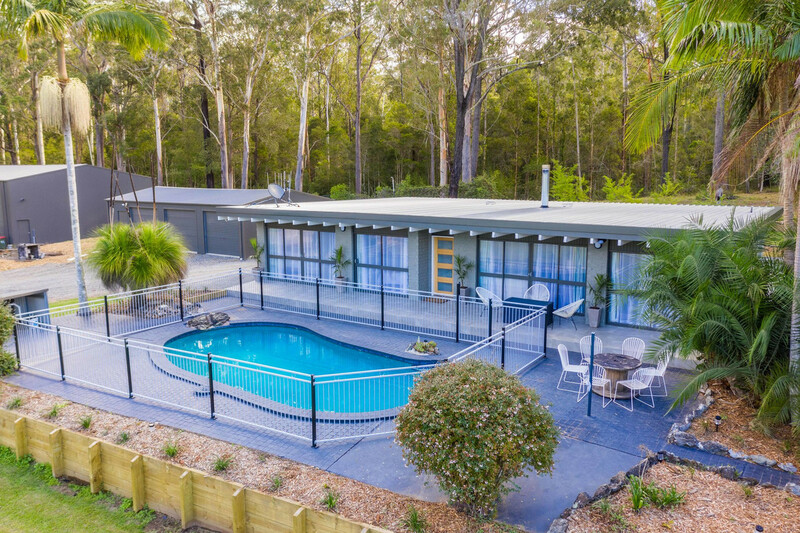 This gorgeous, secluded property in Lake Innes, (off the Oxley Highway) is a mere 10 minutes’ drive from Wauchope and Port Macquarie – with its excellent schools, shopping, restaurants and health facilities. 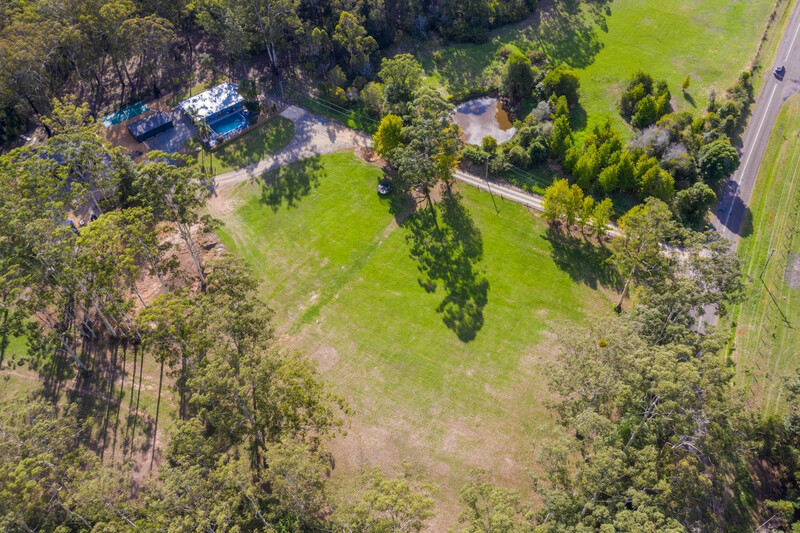 This is your perfect country lifestyle within easy reach of city convenience. 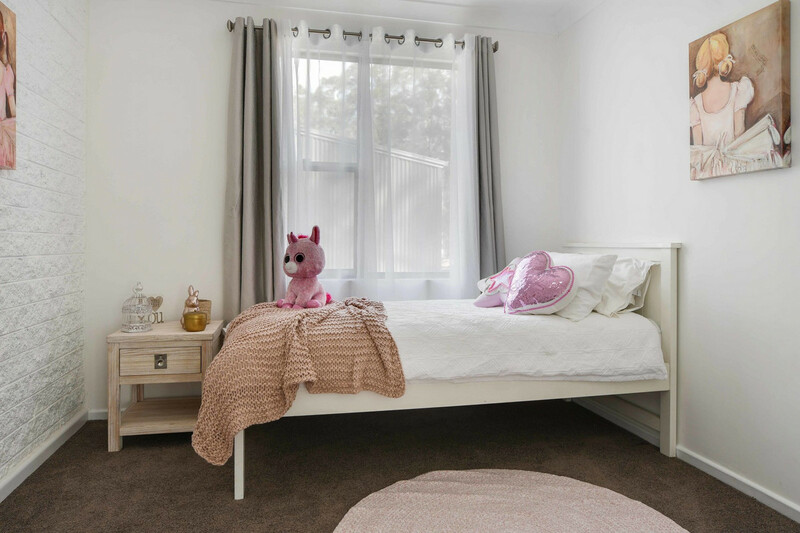 What more could your family ask for?